Global trade has helped the whisky industry expand massively over the last two decades. 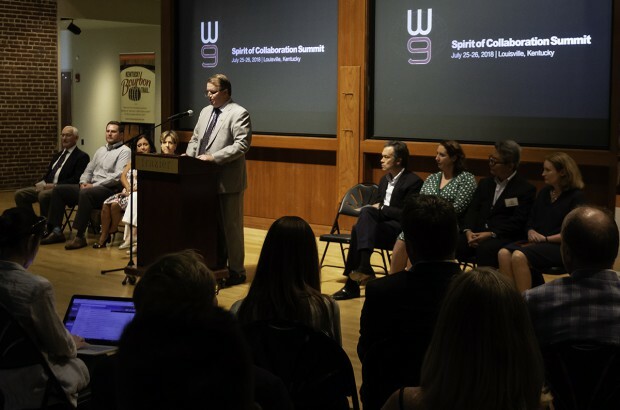 With the ongoing trade dispute between the US and its key trading partners threatening that growth, the world’s nine major whisky trade associations held their first-ever “W9 Summit” this week in Louisville. WhiskyCast was in Louisville for the summit, and we’ll have complete coverage on WhiskyCast In-Depth. In the news, we’ll have details on the week’s new whiskies from Glenfiddich, Johnnie Walker, Mortlach, Highland Park, and more – along with the week’s tasting notes and in our “Behind the Label” segment, we’ll look at how a whisky maker crafts a new range of single malts.